LONDON 2012 NEVER TOOK PLACE: Re-imagining the Olympic zone was a two-day event to mark the launch of WE SELL BOXES WE BUY GOLD, an ongoing project exploring the 2012 Olympic site and the Lower Lea Valley as a context for interdisciplinary research and artistic intervention. 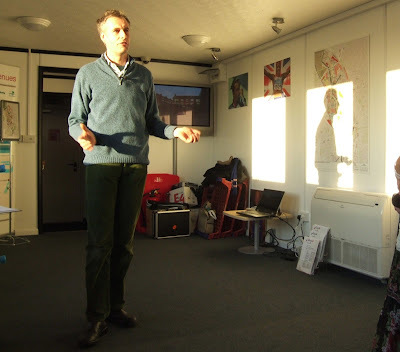 The event took place at various venues near the Olympic site in Stratford and included performances by Mark Wayman, a symposium moderated by Iain Sinclair and Nick Couldry and a sound installation by Richard Crow. WE SELL BOXES WE BUY GOLD explores the layers of meaning particular to the site by using an open and dynamic form of critical enquiry in collaboration with practitioners such as artists, architects, environmentalists, historians, planners and urban sociologists, as well as representatives from local pressure groups including displaced residents. Mobilizing place as a trigger for reflection and the expression of diverse voices, we seek to imagine a network of relations in the space between past and future. 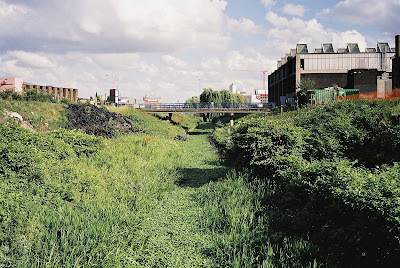 The project began in spring 2007 with a series of walks and talks in and around the designated Olympic zone, which sought to generate a productive space for collective knowledge based around a contested urban site in a state of flux. 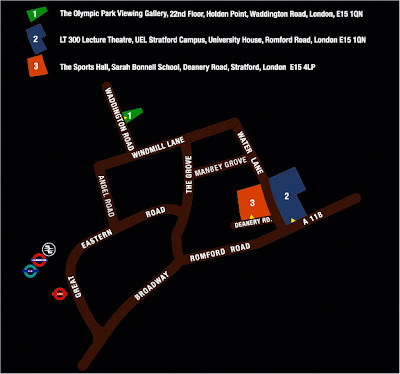 LONDON 2012 NEVER TOOK PLACE: Re-imagining the Olympic zone was the first public presentation of this work-in-progress and was intended as both an open forum for discussion and a catalyst for future intervention and collaboration. WE SELL BOXES WE BUY GOLD is a collaborative project between curators Lucia Farinati and Louise Garrett, artists Richard Crow and Alberto Duman and urban researcher/poet Jude Rosen. 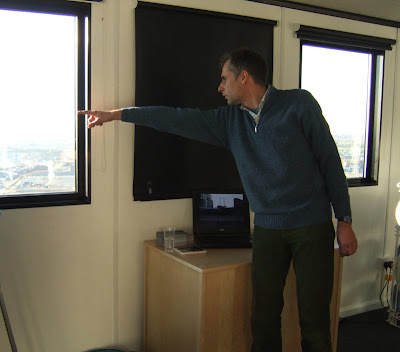 Mark Wayman performed An East London Border at Holden Point, Newham council's Olympic park viewing gallery at the top of a 21-storey tower block overlooking the 2012 site. Wayman’s performance dealt with what surrounds the Olympic site. The artist intended to reverse media portrayals of the Olympic regeneration site as a positive insertion into a negative zone through treating what surrounds the site as positive. Wayman is best known for his performances in which he employs mnemonic techniques to ‘record’ sites and spaces in his head. His recorded memory is then ‘played back’ through verbal description and gesture to reveal a structural alternative to the site’s physical state. Wayman has made such memory pieces for a variety of locations including the back yard of the South London Gallery, a six-storey stairwell at Toynbee Studios, the Nash room of the ICA and a hedge near Epping Forest. Works by Mark Wayman in 2007 include: Paint Out, video may be viewed online in issue 18 of Artvehicle, also shown in We Like it a Lot at Nettie Horn, London; Double Booking, performance, with Laurence Harvey, The Firestation, London; Alma Enterprises performance for You Can Lead A Horse To Water / It’s Just Bread, Alma Enterprises, London; Double Booking, performance, with Laurence Harvey, for Ready to Eat Jumbo Shrimp, Slade Research Centre, London. The title London 2012 never took place: re-imagining the Olympic zone is intended as a provocation – a kind of thought experiment. If we could imagine for a moment that the Olympics were not happening, what could the place be like? What is its potential beyond established blueprints? What would result if we re-imagined the site’s future unfolding from the ground up rather then the top down? We aim to keep the question open, bringing the possibility of creative intervention to bear on the ethical and political questions raised by the redevelopment of the Olympic zone. Katy Andrews is chair of Lammas Lands Defence Committee which campaigns to keep the historic Lammas Lands, common lands where commoners had the right to graze cattle until 1894 when they were transferred to the London County Council for the recreation and enjoyment the people of the borough in perpetuity. The group runs campaigns to prevent road expansion and supermarket encroachment of the marshes and have been particularly active in the Olympic redevelopment protest. 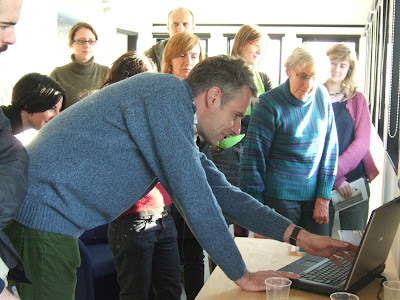 They spread knowledge and awareness of the marshlands’ history and ecology by organising annual walks and maintaining an archive. Katy has a history of involvement in campaigns to prevent road expansion destroying green open spaces including Twyford Down. She is also a member of London Thames Gateway Forum and Rail Future. Tim Butler is an urban sociologist specialising in the gentrification of Hackney and East London and the emergence of a middle class that chooses to live in run-down areas while at the same time opting out of local schools. During his time at the University of East London, where he became Professor of Urban Sociology, he was instrumental in establishing the journal Rising East which dealt with issues of decline and redevelopment of the area. He is now Head of Department of Geography at King’s College and is collaborating with Chris Hamnett on the intertwining issues of education, ethnicity and gentrification in East London. He is the author, with Garry Robson, of London Calling: The middle classes and the remaking of inner London and Understanding Social Inequality (with Paul Watt). He has also edited two collections on the regeneration of East London. Julian Cheyne lived on the Clays Lane estate for more than sixteen years and opposed the compulsory purchase of the site by the ODA. He was active in the Clays Lane Housing Co-op with particular responsibility for planning and development issues and has also been involved in the Games Monitor website. Among other things, he studied history at university, has written for a South Korean news magazine and been involved in human rights, church and 3rd World Development groups, one of which ran a co-operative bookshop. In the early 1970s he helped run a small community magazine in North London. Nick Couldry is Professor of Media and Communications at Goldsmiths College, University of London. He is author of four books including most recently Media Rituals: A Critical Approach (Routledge, 2003) and Listening Beyond the Echoes: Media, Ethics and Agency in an Uncertain World (Paradigm Books, US, 2006. 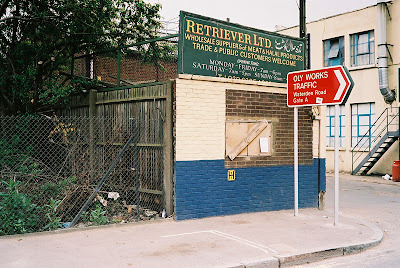 Bruce Jerram is an urban historian, a photographer of East London and a contributor to Rising East. Simon Niziol completed a PhD in economic history at the London School of Economics in 1996. His research interests include the social and economic consequences of technological change, especially changes in society since the Industrial Revolution. He wrote most of the Science Museum’s Inventing the Modern World (2000) and was a major contributor to the National Maritime Museum’s Portcities (www.portcities.org.uk), a website devoted to the history of the port of London and its institutions. His current projects include an exploration of pressures on the use of land in Victorian London. Mike Rustin is Emeritus Professor of Sociology at University of East London where he was Head of Department 1974-1988 and Head of School of Social Sciences. He is an urban sociologist who has specialised in social welfare and the regeneration of East London, as well as psychoanalytic and biographic approaches to the social sciences and social policy. He was co-editor Rising in the East: The Regeneration of East London (with Tim Butler), Lawrence and Wishart, l996. Among his other publications are: - Biography and Social Exclusion in Europe: experiences and life journeys, edited with Prue Chamberlayne and Tom Wengraf, Policy Press, 2002; Reason and Unreason: Psychoanalysis, Science and Politics, Continuum/Wesleyan University Press, 2001 and Welfare and Culture in Europe, edited with Prue Chamberlayne, Andrew Cooper, and Richard Freeman, Jessica Kingsley 1999. Iain Sinclair is a writer known for his psychogeographic narratives of place, particularly London. His non-fiction works include Lights Out for the Territory: 9 Excursions in the Secret History of London (1997); London Orbital: A Walk Around the M25 (2002); and Edge of the Orison (2005), a reconstruction of the poet John Clare's walk from Epping Forest to Helpston, near Peterborough. His novels include Downriver (1991), which tells of a UK under the rule of 'The Widow', a grotesque version of Margaret Thatcher; Landor's Tower (2001); White Goods (2002) and Dining on Stones (2004). Martin Slavin is an active member of the Hackney Marshes Users Group, a photographer and a contributor to the Games Monitor website. Julie Sumner has had an allotment at Manor Gardens for fifteen years influenced by her father who was a professional gardener. She is Vice Chair of the Manor Gardening Society and coordinated the Lifeisland campaign to preserve Manor Garden Allotments for the Olympic Legacy. She teaches and co-ordinates antenatal and postnatal groups in Holloway Prison and at various Children's Centres. She is also Chair of the Maternity Services Liaison Committee at the Homerton Hospital and teaches yoga. Soundscape recordings are themselves a substitute for memory. How can ‘hearing’ and ‘location’ activate each other? BROKEN TRAJECTORIES... brings together edited extracts from an audio archive, which includes over 36 hours of field recordings, conversations, interviews, itinerant voices and personal testimonies collected during walks in and around the London 2012 site. 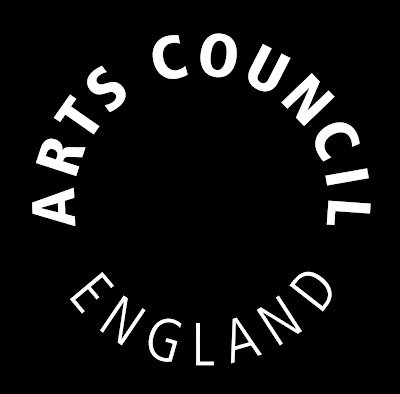 The resulting fragmentary soundscape also attempts to capture traces of the many indeterminate, in-between places that have been experienced both physically and psychologically in what has become a highly contested, transitional zone. Sarah Bonnell School, which was founded as a charity school in 1777, is one of the oldest girls’ schools in England. It has been a specialist language school since 2003 offering a wide range of languages including Arabic, Bengali, Chinese, French, German, Italian, Spanish, Urdu and Yoruba. 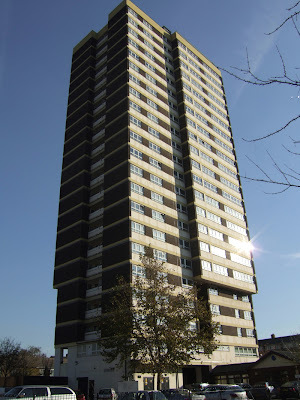 The walks began with numerous recces through the area stretching north towards Homerton, east through Hackney Marshes, south down to the Thames and west as far as Limehouse. These meanderings were used as an opportunity to collect data in the field, including photographic documentation and sound recordings. 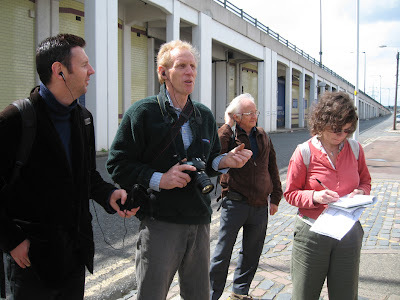 Then, starting in spring 2007 and largely before the construction of the Olympic site perimeter fence in July, we invited various guests to take us on a route of their own choosing. Seventh walk: Bruce Jerram & Mike Rustin: 01:07:07: Canning Town – Kier Hardy Estate – Jude St. Community Club – River Church Settlement – under the A13 – Rathbone Market – Ordnance pub, Barking Rd. We Sell Boxes We Buy Gold was the collaboration between curators Lucia Farinati and Louise Garrett, artist Richard Crow and Alberto Duman, and urban researcher/poet Jude Rosen. 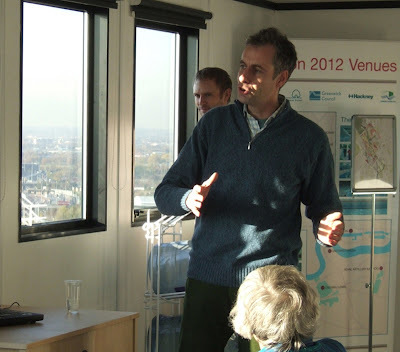 The project considered the 2012 Olympic site and the Lower Lea Valley as a context for interdisciplinary research and artistic intervention.